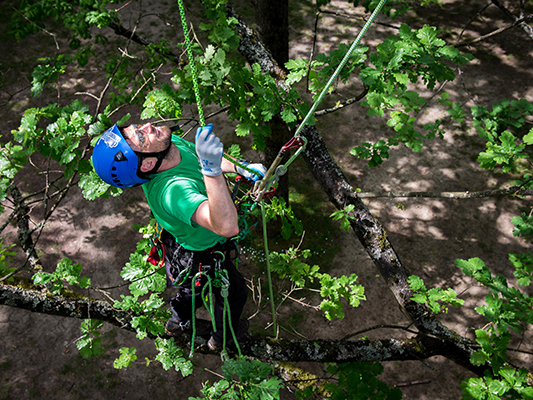 Treetop Rescue is run by Dan Holliday, he has over 13 years experience working as a Climbing Arborist. He has worked for various companies within the U.K before moving away. Whilst abroad he has worked for numerous companies in Australia and most recently Canada where Dan has been resident for the last 4 years. Dan has a national diploma in Arboriculture and is an ISA certified Arborist (PN7402-A). Since Dan arrived in Canada, he started competing in regional and chapter tree climbing championships. In 2015 Dan competed in the Portland TCC, British Columbia TCC and the Pacific north west TCC where he placed third, second and third respectively. Dan also operates a local tree company called 'Grizzly Tree Experts' around metro Vancouver, as well as an Arborist website ClimbingArborist.com, which is a free resource for Arborist to learn new skills and techniques.